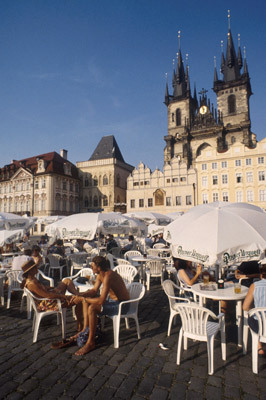 Old Town Square is one of the best-known of Prague squares (see picture). Square is from 12th century. Old Town Hall with Astronomical Clock (on the right), Gothic Church of Our Lady before Tyn (in the middle) and Church of St.Nicholas (on the left) dominate this unique heart of the Prague. Visit: Old Town Hall and churches are open to the public. Old Town Hall was established 1338. Now it is complex with preserved historic interior. 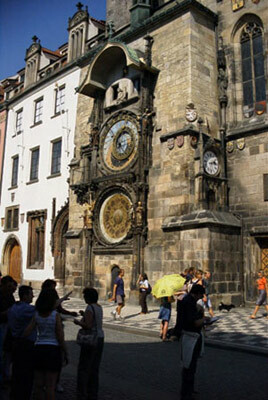 The part of Town Hall is Astronomical Clock - one of the most favourite place in Old Town Square. It contains figures of apostles from 1410. 12 apostles appear every hour between 9 a.m. and 9 p.m.
Church of Our Lady before Tyn dates back to the Gothic (14th century). Interior was rebuilt in the baroque style. Present one is very valuable. 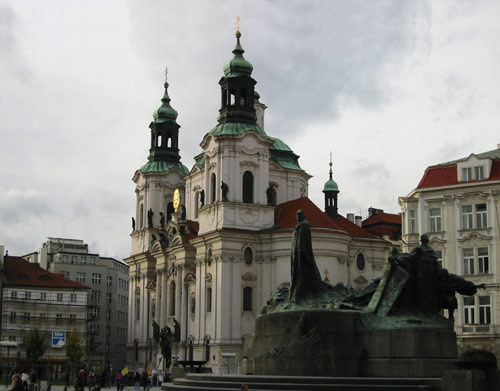 Church of St.Nicholas was designed by famous Baroque architect Kilian Ignac Dientzenhofer. Visit: open to the public. Awesome!!! 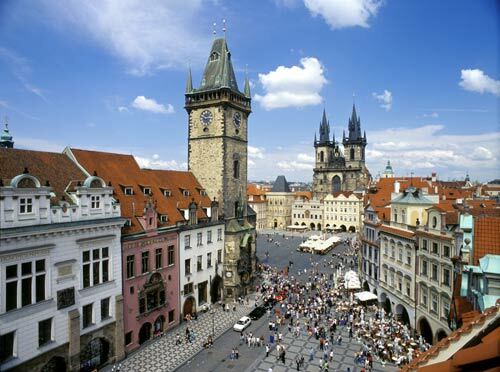 I think I might go to the Czech Republic!!!! !